The tramp ship was the taxi of the seas. With no regular schedules, it voyaged anywhere and everywhere, picking up and dropping off cargoes, mainly bulk cargoes such as coal, grain, timber, china clay and oil. It was the older and slower vessels that tended to find their way into this trade, hence the tag 'tramp', though new tramps were built, often with the owner's eye on chartering to the liner companies. 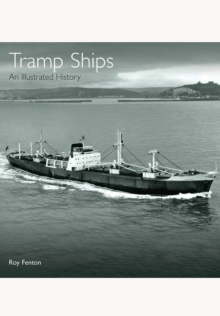 In this new book by the well-known author Roy Fenton, their evolution is described over the course of more than 100 years, from the 1860s, when the steam tramp developed from the screw collier, until it was largely replaced by the specialist bulk carrier in the 1980s. An introduction looks at the design and building of tramps before going on to describe the machinery, from simple triple-expansion turbines to diesel engines. Their operation and management and the life of the officers and crews is also covered. The meat of the book is to be found in the 300 wonderfully evocative photographs of individual ships which illustrate the development of the tramp and its trades through the last years of the 19th century, the two world wars, and the postwar years. Each caption gives the dimensions, the owners and the builder, and outlines the career, with notes on trades and how they changed over a ship's lifetime. Design features are highlighted and notes on machinery included. 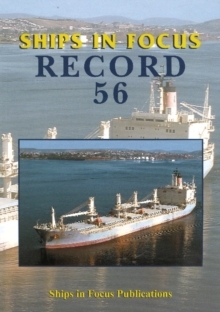 This will become a classic work, to inspire all merchant ship enthusiasts and historians.